The RHW75T2NAX is a 7” vandal resistant rugged dome camera housing from Videolarm which is designed to provide high use in a number of different IP network ready security installations. The RHW75T2NAX dome camera housing comes with a tinted dome, a cast aluminium construction, a pendant mount design, a compact size, as well as a thermostatically controlled heater, and a universal mounting plate. The RHW75T2NAX dome camera housing also features surge protection, a wide operating temperature, a wireless option, plus an optically clear polycarbonate lower dome. 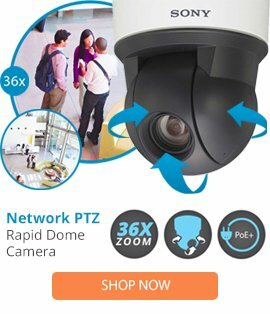 This dome camera housing is ideal for use in a number of installations, and can easily provide advanced protection when used in schools, power plants, airports, bus terminals, and correctional facilities.